Ok, some of you may not know but I recently became a Hybrid Chick. I get to combine traditional card making materials with digital products to create fun and interesting projects!! They've so many lovely goodies over at The Digichick I love working with their stuff!! 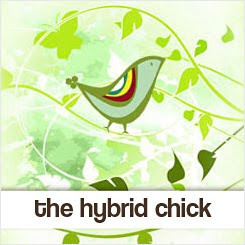 So, all the Hybrid Chicks post an article at The Hybrid Chick every month and today my first article goes up at The Hybrid Chick site. I made some cards that have fun rotating flowers on them, here's a peek. If you want to know how to make the rotating flower (which is a card mechanism you can apply to anything you want to rotate on your card) pop over to the Hybrid Chick and have a look at my tutorial!!! Full details are there! I also made this with Moxie Fab World Card Style Week: Fun & Cute in mind. I made a couple of variations in the same style, the flower still rotates, it's just smaller! The flowers and lovely papers (except the yellow, which comes from The Thrift Shop, October Afternoon) all come from the Berry Meadow Pack by Quirky Twerp at The Digichick. Such a cheery set with fab papers in it!! And of course that great flower!! This is really fun and cute, and so so sweet too! Thanks for sharing! Love your work! What a clever idea, I am luvin' these cards! How pretty Clare, love the fresh colors! Great tutorial! Very pretty!! I love the cards!! Just found you via the WM forum-love your blog and creations. Am now following to see more! Hey Clare! Thanks for entering the Let's Do Fun & Cute Card Style Week challenge in the Moxie Fab World! I'm so glad you joined in on the fun!